Thursday Showtime: 7:00pm. Doors open at 6:15pm. 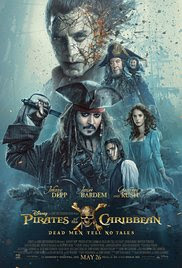 This movie is rated PG-13 and stars Johnny Depp, Geoffrey Rush, and Javier Bardem.